You've seen our road crews mowing or cutting brush along the roadway. But did you know they also work to help bees and butterflies? Our planting guidelines and some new mowing policies are designed to provide better habitat for the pollinators – animals or insects that transfer pollen from plant to plant. Pollinators are crucial to plant fertilization and help support our state's $49 billion food and agricultural industry. Today marks the start of National Pollinator Week, so we thought we'd share some of our pollinator-friendly work. Why is WSDOT in the bee and butterfly business? With 100,000 acres of non-paved highway right of way spread across the state we're perfectly positioned to help improve pollinator habitat. Such work also fits into our strategic plan goal of environmental stewardship. You certainly don't need to have wings to appreciate protecting and improving the environment. we’re in a unique position to help support pollinators statewide. You'll soon be seeing some differences in medians and other wide areas in the highway right-of-way – changes that also help pollinators thrive. The integrated vegetation management approach started last year means we're leaving more land in a "natural" state instead of the routine mowing of years past. The overall goal is to create meadows and encourage native plant species, but it also means in some areas we'll leave the Scotch Broom and blackberry and thistle, which pollinators love. The back to nature approach will be applied in our wider right of ways – areas beyond 15 to 20 feet from the pavement edge. As always, we'll continue to mow along roadway edge for safety and sight-line purposes. But where we have room, the more natural setting will provide pollinators with sources of nectar, pollen, larval host plants and nesting locations. We also think of pollinators when deciding what types of plants to use in our landscape restoration projects. We already plant native vegetation, including flowering, native woody shrubs, on our roadsides after construction projects. In the past, we haven't focused on bloom periods or planting each species in larger masses for pollinators. Now, we've begun adding a series of plants that bloom at different times, to give pollinators a more consistent source of nectar and pollen across an entire growing season. We're also adding some plants in clumps, which pollinators prefer. We're including a range of flowering plants along our roadways and landscaping projects to ensure there's something blooming throughout the entire growing season. This helps provide pollinators with a consistent source of pollen and nectar. 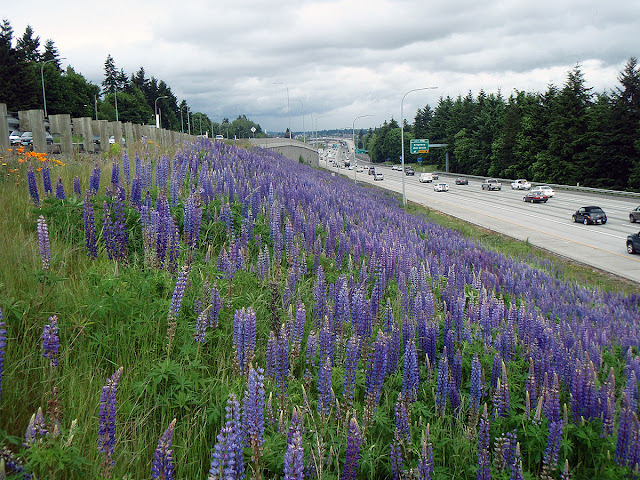 Our roadside policy, which includes no pesticide use other than the selective use of herbicides, gives preference to long-lived native plant species that can compete against or exclude weeds and grow with minimal maintenance. We also leave other habitat features, such as logs and snags, in place for native bees and birds. 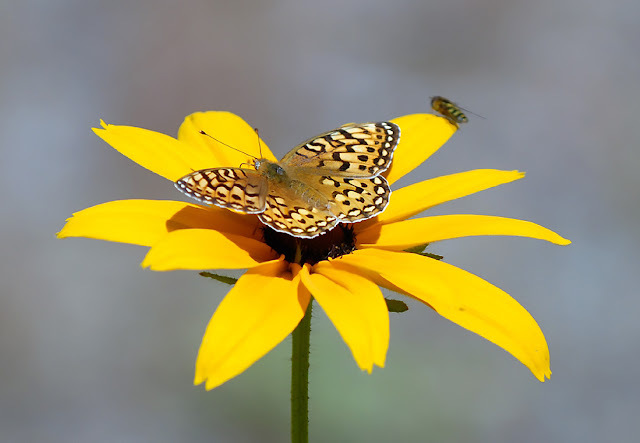 Going forward we're working to identify future pollinator habitat preservation and restoration sites and have developed pollinator-friendly guidance for landscape architects to use when designing restoration and migration sites. Reduce your impact: reduce or eliminate use of insecticides, increase green spaces, and minimize urbanization. Create pollinator-friendly habitat with native flowering plants that supply pollinators with nectar, pollen and homes. Use the BeeSmart pollinator app to find bee-friendly plants for your area. Design your garden with a continuous succession of plants flowering from spring through fall; gradually replace lawn grass with flower beds. Plant native to your region using plants that provide nectar for adults plus food for insect larvae, such as milkweed for monarchs. Select old-fashioned varieties of flowers whenever possible because breeding has caused some modern blooms to lose their fragrance and/or the nectar and pollen needed by pollinators. Install 'houses' for native bees: use wood blocks with holes or maintain small open patches of soil and mud. I am sp happy to hear of these efforts, thank you! I am glad to hear you are working to help pollinators but do question keeping invasive plants like Scotch Broom, and I assume you are referring to non-native blackberries and thistles. Those are always removed in restoration areas and on the King County noxious weed list. I hope this doesn't give people the impression they are plants we want to promote. John McNeil, Dayna and Jan Bird, thank you for your comments and support. Jan, no, we don’t want to promote non-native plants but since we can’t afford to control them everywhere, we want to prioritize our efforts in locations where we have a chance of success. Our long-term goal is to begin work in highest priority areas to encourage the growth of native species to where they eventually choke out the non-natives. Until we can work our way through the system with native plant restoration in the highest priority areas, it is better for pollinators if we do not mow areas infested with commonly occurring weeds such as scotch broom, blackberry and thistle. Non-native species provide a good source of pollen and nectar at a time of year when many native plants are not blooming. Our plan is to continue controlling invasive and noxious species in a thoughtful way.